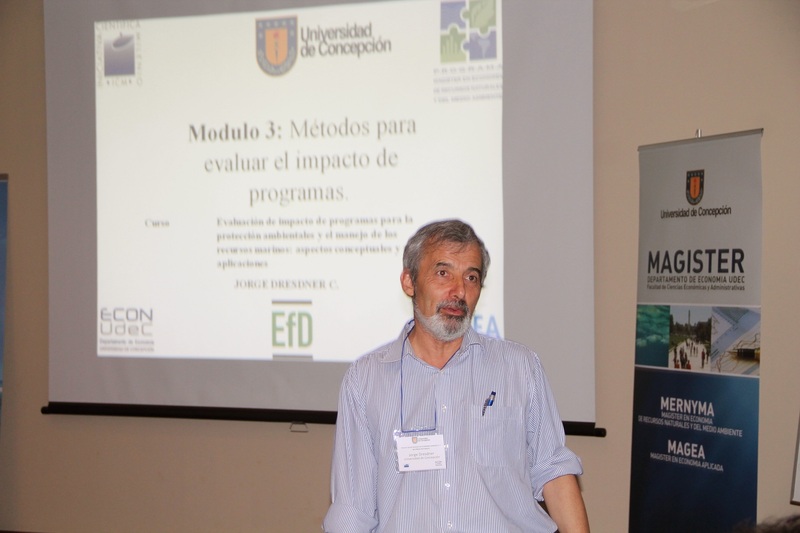 On March 20, 2014, our center organized a short course on Impact Evaluation for Natural Resource and Environmental Programs designed for policy makers in Chile. The aim was to explain basic concepts of the impact evaluation methodology and show some examples of these methods in the area. 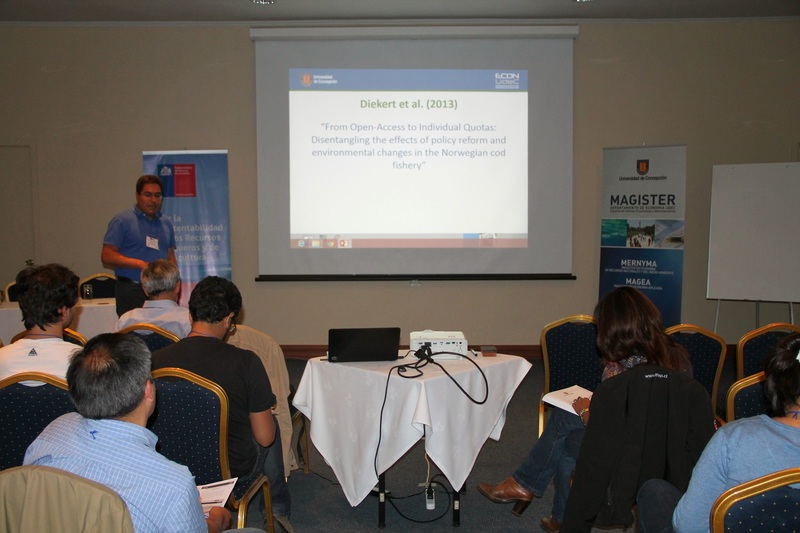 This activity was developed before the annual workshop that the group organizes every year, and it was hold at the Hotel Termas de Chillán, in Chile. The workshop had the attendance of policy makers from the Ministry for the Environment, the Undersecretary of Fisheries and Aquaculture, the Fisheries Research Institute, and the Regional Fisheries Management Office.